Rock, Paper, Show realease party & our first book signing @ The Strand, NYC June 4th. Next week is going to be a huge, big ridiculous week for us at strawberryluna. And, to boot, it’s in the hugest, biggest, most ridiculous city in the country. So, perfect! Not only are we doing the Renegade Craft Fair in Brooklyn next weekend, and are participating in the Rock For Kids Poster Artist Interview Series, but, we’ve also amazingly been invited to be a part of the Rock Paper Show Flatstock book release party on Friday evening, June 4th, 2010. Holy smokes. And to boot, it’s made better by the fact that the release party event is at my absolute favorite bookstore, let alone one of my favorite places on the entire planet. The Strand bookstore in Manhattan! Eeeeeeeeeeeeeeee! Can’t even believe it. Any time that I am in NYC, I definitely make sure to get into the hallowed walls and rows of The Strand, but this time, not just as a book nerd, but as an artist in the rock poster movement representing Rock Paper Show & Flatstock. Someone pinch me, cause I must be dreaming. 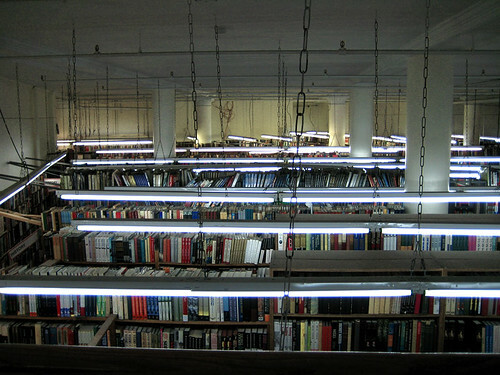 The one & only Strand Bookstore at 4th & Broadway in Manhattan. For the special release party and book signing at The Strand bookstore, Geoff Peveto, curator of Rock Paper Show, president of the American Poster Institute and partner in The Decoder Ring, an Austin based design collective, will be available to discuss the history of Flatstock and the steady growth of the gig poster community. Featured Rock Paper Show artists Hero, Mat Daly, strawberryluna, Vahalla, and Tara McPheerson will all be available to sign copies, as well as Holly Gressley of Rumors, the book’s designer, and Mike Treff from Soundscreen Design, the book’s publisher and producer. If you are in the New York City area on Friday evening, June 4th, come check us out and say hello. We’d love to say hi and talk about posters and books. Cause we’re dorks. Can’t wait to see you again my old friend, The Strand. For more information about the 18 miles of books at this historic and heavenly bookstore, click here. 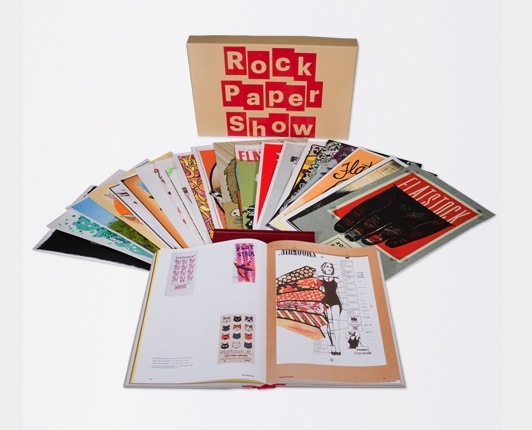 For more information about the Rock Paper Show Flatstock book, read my blog post here. And here is a photo that I took there in my geeky glee on a visit in 2007. This entry was posted in Books strawberryluna is in, Books we're in, Cool stuff, New releases, News & Events, Stuff I Like and tagged book events, books signing events, geoff peveto, graphic design, Hero Design, Holly Gressley, Mat Daly, mike treff, modern design, poster artists, poster design, renegade craft fair brooklyn, Rock Paper Show Flatstock Volume One, soundscreen design, strawberryluna, Tara McPherson, The Decoder Ring Design Concern, the strand bookstore, Vahalla by strawberryluna. Bookmark the permalink.